← Spearfishing – Poll: Where do you mount your camera? This great little spot is located in Bantry Bay / Seapoint. If you head down Queens Street then take the left all the way at the bottom right at the beach. Head along until you get to a no entry sign (the road becomes a one way), find parking and take a small walk up the one way (about 10m) there is a stairway heading down to the rocks. That is where you will enter the water. The entry is great, you simply jump off the rocks into about 5-8m of water. The exit can be a little more difficult depending on swell conditions. If you don’t feel comfortable riding a wave up onto one of the rock ledges then you can swim around the point farther out on your right and around to the small beach there. Once in the water head out to the middle of the bay (between the kelp beds), there is some great structure there and the kelp makes the fish feel rather safe. You can easily spend 2-3hours in the water without actually shooting a fish (even though there are hordes of them around), it is a great area to explore. Visibility can be tricky though, if there is a steady SE blowing you are sure to be in for a treat as it will clean up most of the Atlantic seaboard. The worst I have seen it was just beyond the tip of my speargun, but even then I was still able to get a few fish for the braai. i was diving saunders rock with my brother ,we got a few nice hotties and as i look up the rocks was full of saps members thinking we poach abalone.that was the end of a great dive.Is LLandadno legal to spear and what are fish and conditions like down there? As for fish and conditions in Llandadno, I am not sure. I personally haven’t dive there as it seem a bit of a stretch for ,more than likely, the same species of fish you will encounter in Bantry Bay. 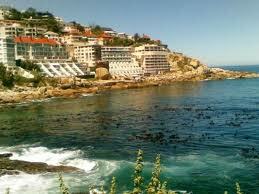 Along the Atlantic seaboard there is a huge variety. You would probably be looking at Hotties, Jutjaw, klipfish and the odd Galjoen. Also Llandadno looks flat so I am not sure what structure you could expect under the surface. Hi Johan, may one dive for crayfish at Saunders Rock? Hi there Rudi, Unfortunately no. It is reserve pretty much from Hout Bay all the way to the VA Harbour. Hi Johan, I think you have answered my questions in the above comments, but just want to make double sure. 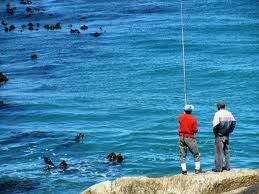 Are we allowed to spearfish at Bantry Bay, eventhough it is a reserve? I am uncertain as to where exactly we are allowed and where not. If you would like help on where semi decent spots let me know, always mice to have an extra person in the water. Oh yes, in the case of Crays though. Pretty much all of the Atlantic seaboard is a no take zone. Thanks for the info. Great, then I am looking forward to join in the water. Would be nice to get some help on where the spots are! Thanks. Cool, will leave the crays alone. It is difficult as there are some BEASTS around!